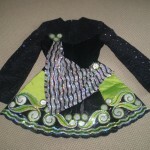 Suitable for Primary/Intermediate Dancer and general sizing is ladies 8-10. Dress is made of black stretch velvet with black lace on the bodice and sleeves, with diamontes. 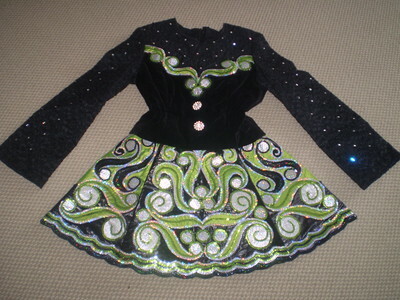 Bodice consists of green silk applique and silver, black and green sequins for sparkle. 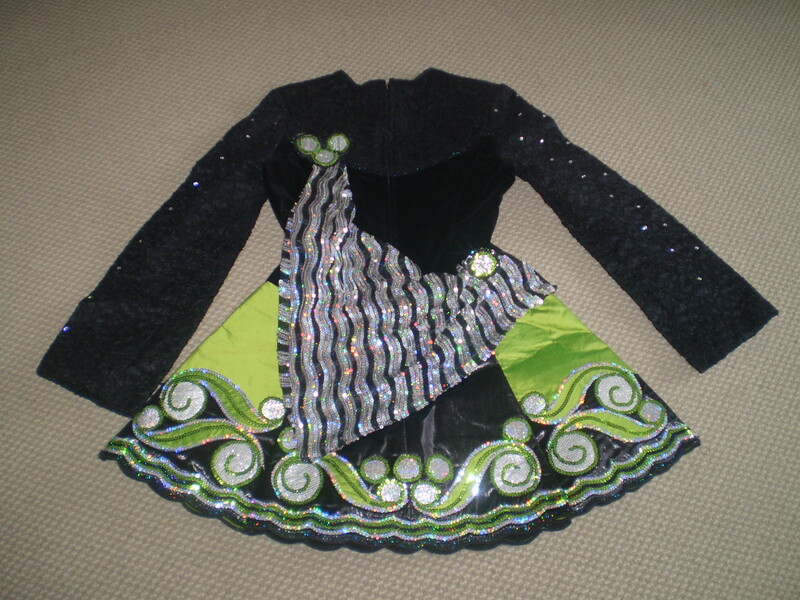 The skirt has silver, green and black sequin trimmed applique, black and green underskirt with silver square sequins in the side pleats. Tiara is also included. Dress has only been worn three times and is in great condition with no marks. Asking Price: $AUD400. Shipping costs are included for my own country, overseas shipping is extra. Sale is final.